Property/casualty insurers employ an assortment of workers such as adjusters, underwriters, and claims examiners. These workers make important decisions about your insurance coverage. Because many of these individuals have little or no interaction with policyholders, you may not be aware they exist. This article will explain the various functions performed by insurance company employees and how they affect you as a policyholder. Direct Writers Insurance companies that sell policies directly to insurance buyers without the use of intermediaries (agents or brokers) are called direct writers. These insurers typically interface with customers via the telephone or a website. Some maintain sales offices where customers may come to purchase policies. An example of a direct writer is Nationwide Insurance. Exclusive Agency Insurer Some insurers sell their products through exclusive agents, meaning agents that work exclusively for them. Examples are Farmers Insurance and State Farm. Independent Agency Insurer Most insurers sell and service business insurance policies through independent agents and brokers. An independent agent must be appointed by (have a contract with) a particular insurer in order to sell its policies. Here are the main jobs performed by employees of property/casualty insurance companies. As noted below, these jobs do not exist in all companies. As noted above, insurance companies that operate as direct writers do not utilize agents or brokers to distribute their products. Rather, they sell policies through customer service representatives (CSR's). A CSR is employed by the insurer. He or she communicates with customers via the telephone, the Internet, or a local sales office. When a new customer seeks a policy, the CSR gathers information and provides a quote. After the policy is issued, the CSR remains the customer's primary contact for all matters related to the policy other than claims. An exclusive agent sells policies directly to insurance buyers on behalf of one insurer. An exclusive agent may be an employee of the insurer or an independent contractor. When approached by an insurance buyer, the agent collects information and provides a quote. If the customer purchases a policy, the agent becomes the policyholder's primary intermediary with the insurer. The agent services the policy and handles all matters related to it except for claims. Some insurers employ sales representatives to attract new customers. These employees call on potential clients and market the company's products. In the past, many insurers that utilized independent agents employed sales employees. These workers generated business by developing close relationships with agents. In recent years, many insurers have eliminated their sales staff. Underwriters are now responsible for tasks previously performed by sales representatives. Underwriters receive completed applications from CSR's, agents or brokers. Underwriters decide whether insurance applicants meet the insurer's underwriting guidelines. Suppose that you want to purchase a commercial auto policy. The underwriter reviews your application. He or he considers the type of business you operate, your loss history, your financial data, your employees' driving records, and various other information. The underwriter uses this data to determine whether your company is an average, better than average, or below average risk. Your risks will be reflected in your premium. Good risks pay less than poor risks. The underwriter's job doesn't end when you buy a policy. He or she will continue to monitor your premium and loss experience. Underwriters typically review policies annually. He or she will determine whether your policy should be renewed and if so, the premium that should be charged. Insurance adjusters interface with policyholders on matters related to claims. An adjuster may be an employee of the insurer or an independent contractor. A policyholder may hire a public adjuster to negotiate with the insurer's adjuster on the policyholder's behalf. After you file a claim, an insurance adjuster will review the details of your loss and inspect any property (yours or the claimant's) that has been damaged. He or she will interview witnesses, claimants, physicians, police and other individuals who have information relevant to the claim. The adjuster will also review your policy to determine whether the loss is covered. He or she may negotiate a settlement with you (or the claimant) and authorize payments. Claims examiners review claim information provided by adjusters to determine whether the claims have been handled properly. Examiners do not review every claim. They focus on those that are complex, severe, questionable or otherwise require extra attention. Examiners enter claim payments, reserve amounts, and other data into the insurer's computer system. They may interview witnesses, attorneys, physicians and others involved in the claim. Examiners keep track of claims until they are finalized and all costs have been verified. Most insurers offer risk control services through a Loss Control Department. 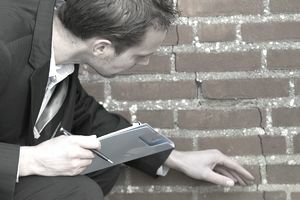 Loss control personnel make physical inspections of buildings, vehicles and other insured property to ensure that it is safe and free of hazards. Inspectors educate policyholders about potential hazards on their property, and what steps they can take to make their buildings safer. If you have workers compensation coverage, an inspector may monitor your employees to make sure they are using the proper safety equipment. If you have commercial auto coverage, a loss control rep may inspect your vehicles. Once the inspection is completed, the rep may recommend changes to reduce or eliminate hazards. Some recommendations may be optional. Others may be mandatory, meaning that you must make the recommended changes in order to retain your coverage. The loss control report is forwarded to the underwriter, who uses the information to further evaluate your risks. Many insurance policies are subject to an annual audit. A premium auditor may visit your premises to review your financial records. He or she may analyze your payroll, sales and other records to make sure the data is accurate. Auditors may conduct some audits by telephone. The auditor will determine your final premium and compare it to your initial (deposit) premium. If the two numbers differ, you may be charged an additional premium or receive a refund. Actuaries determine the rates you pay. They use mathematical models to make predictions about future losses. They help create new products by developing pricing and by forecasting future experience. Actuaries help insurers determine what rates to charge to compete with other insurers but still remain profitable.